Professor Dash Moore in the Editor-in-Chief of the Posen Library. 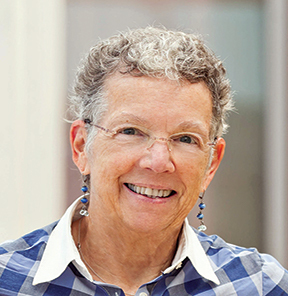 She is a pioneering scholar of American Jewish history and the co-editor of Volume 10 of The Posen Library of Jewish Culture and Civilization. 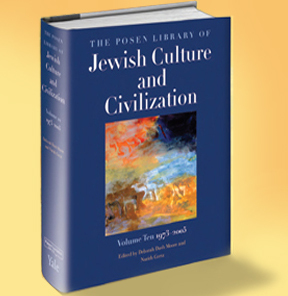 More than ten years in the making, The Posen Library of Jewish Culture and Civilization is a landmark ten-volume series that collects 3,000 years of Jewish literature, artwork, and artifacts, presenting the best of Jewish culture in its historic and global entirety. 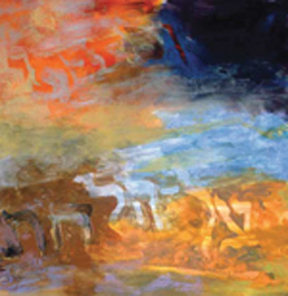 A treasury of Jewish creative works from around the world, this volume of The Posen Library of Jewish Culture and Civilization introduces readers to the great diversity of Jewish civilization, covering the momentous period from 1973 to 2005. Prayer book passages, personal prayer, and liturgical poetry. First-person accounts, personal reflections, critical evaluations, and ideological statements. Cartoons, comics, travel, and food.